When I first started making jewelry I worked with what I had. Now a couple of years later it became time to upgrade. 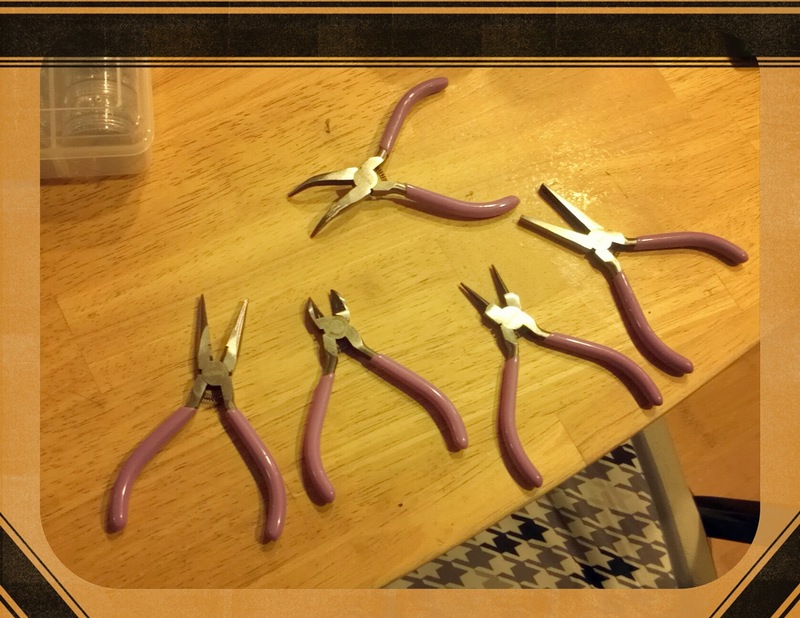 Using regular sized needle nose pliers for making jewelry got the job done but became cumbersome. It's kinda tough to get regular sized pliers through tiny little loops. 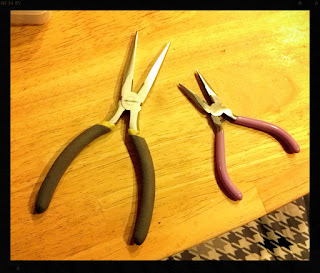 Recently my wonderful boyfriend showed up with the gift of new tools. They're awesome and way easier to use! I highly suggest getting smaller tools, namely a needle nose plier and a small cutting plier. You can find them at most craft stores.